Visualization 1. 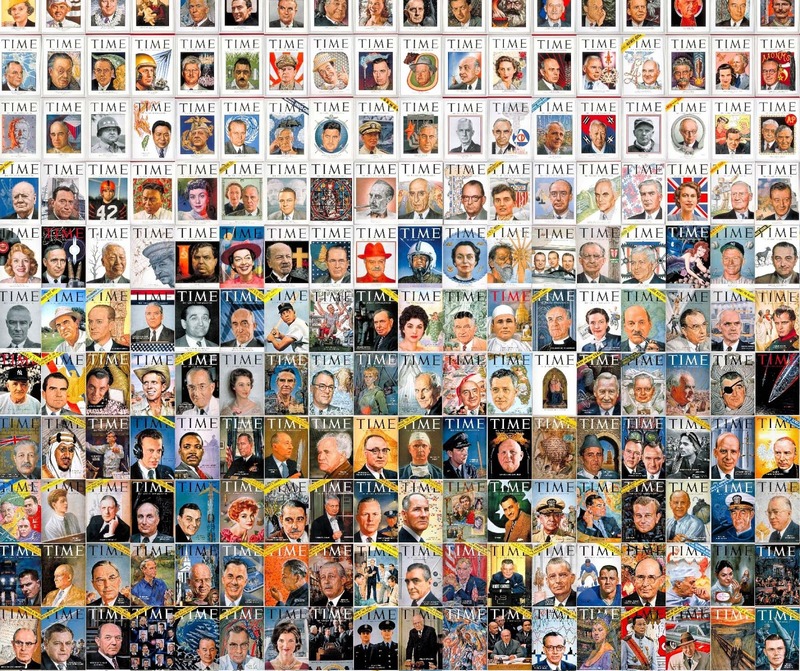 Covers of every issue of Time magazine published from the first issue in 1923 to summer 2009. Click here to view the image on Flickr. Visualization 2. 4535 Time magazine covers are plotted left to right. X axis: Publication date, 1923-2009. Y axis: automatically measured brightness for black and white covers, or saturation for color covers (mean value of all pixels). Click here to view the image on Flickr. Close-up detail of Visualization 1. Click here to view the full size image on Flickr. Close-up detail of Visualization 2. Click here to view the full size image on Flickr. Time magazine covers visualizations, a collection of full resolution images on Flickr. 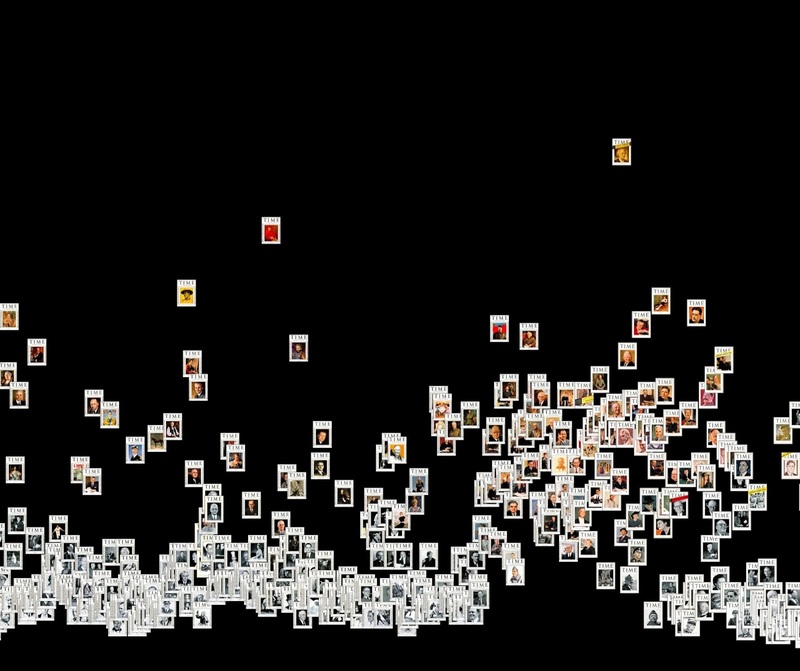 Time magazine covers metadata visualizations on Flickr. 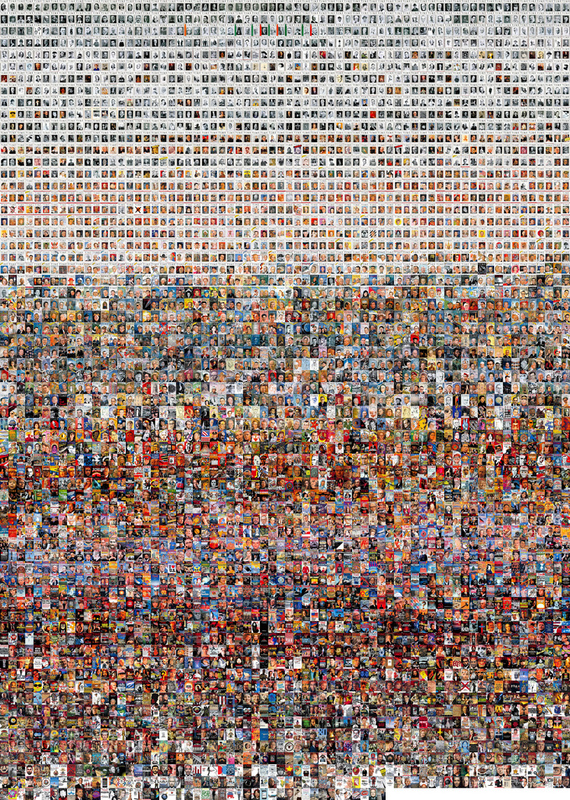 This project presents a visualization analysis of the Time magazine covers (1923-2009). Data: Covers of every issue of Time magazine published from the first issue in 1923 to summer 2009. Total number of covers: 4535. Distinctive red borders have framed Time magazine cover designs since 1927. In order to highlight changes within these borders, we cropped all images to eliminate their margins (red or otherwise). The visualization also reveals an important “meta-pattern”: almost all changes are gradual. Each of the new communication strategies emerges slowly over a number of months, years or even decades. 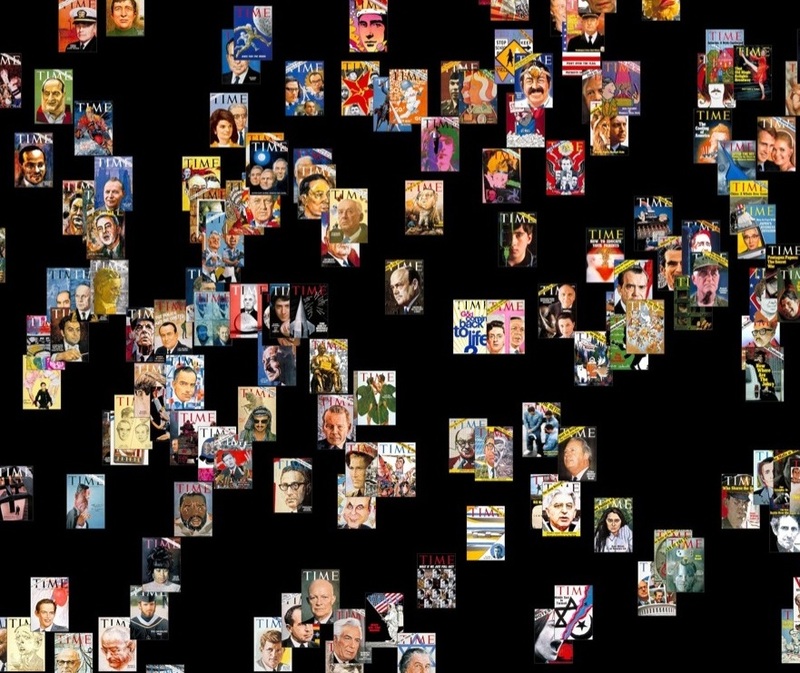 Mapping: 4535 Time magazine covers spanning 86 years are plotted left to right. X axis: Publication date, 1923-2009. Y axis: automatically measured brightness for black and white covers, or saturation for color covers (mean value of all pixels). Visualization of 4535 Time covers reveals a number a number of temporal patterns: The image makes visible the pre-color printing era on the far left, a cluster of brief early experiments in color printing (with left-margin coloration), and then the gradual shift from black and white to full color covers, with both types coexisting for a number of years. Taking a step back, we can see that brightness and saturation follow a cyclical pattern of rising and falling, with dramatic peaks and valleys only becoming apparent over periods of a decade or more. Standing apart from the overall curve are extreme exceptions: glowing bright images and pale designs that float above or below the cloud of covers typical of an era. Taking another step back, we can compare our present decade to the entire 86 magazine history. The drop in saturation since the end of the 1990s represents an unexpected development - since for the previous 50 years average saturation level first gradually went up and then stayed the same (since middle of the 1960s).